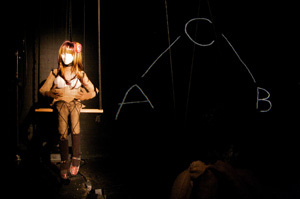 "My Life in a Nutshell", a new production for experimental puppet theater, was presented at the Here Art Center in New York from Oct. 8 through Oct. 25, 2009. 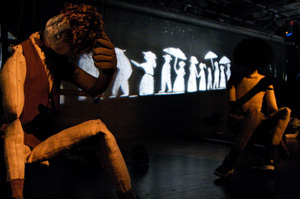 The work features music composed and performed live by Jane Wang, text and construction by Hanne Tierney, live overhead projection by artist Hannah Wasileski, and three manipulators working the approximately 100 strings. 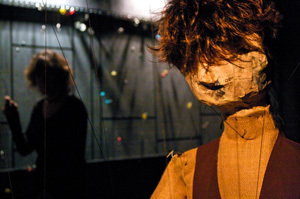 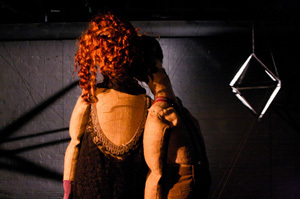 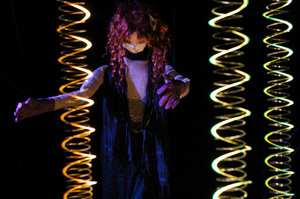 This witty play performed by life-size marionettes laughs at aging and the follies of death.